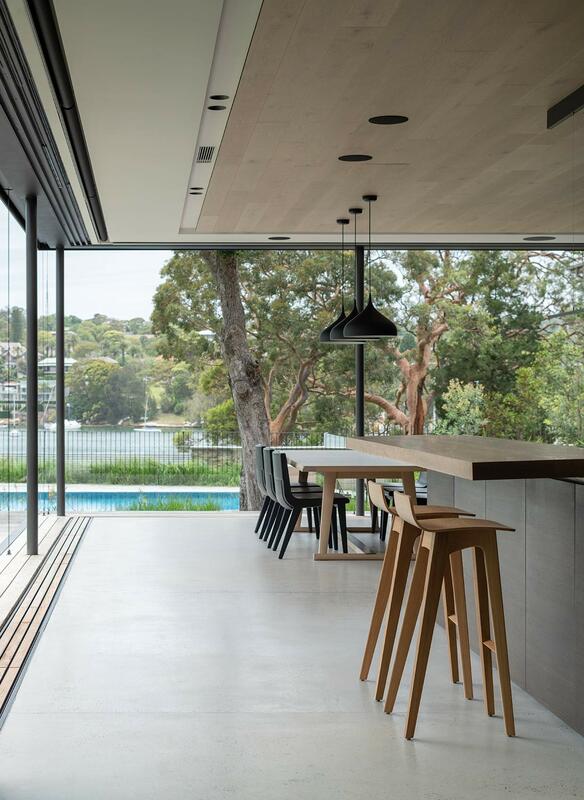 Located on the Parramatta River in Woolwich, this residence takes advantage of the steep level change from the street to the water’s edge. 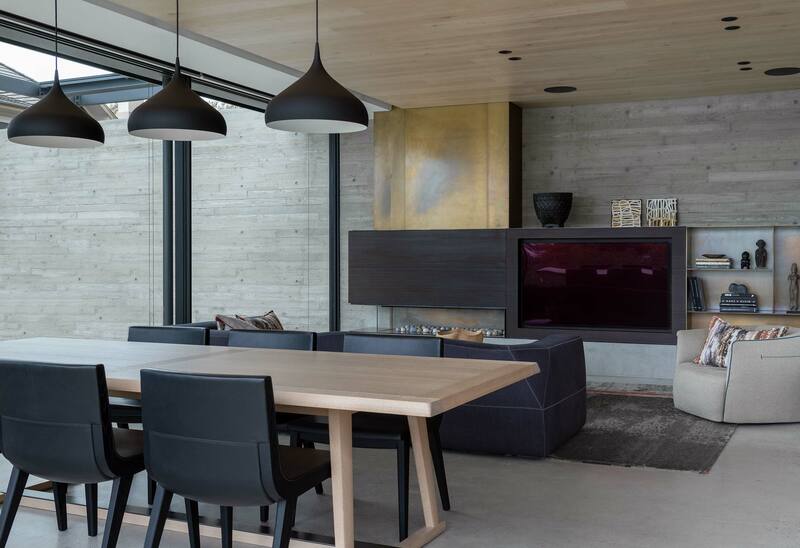 The client’s brief was for a contemporary family home embracing the spectacular vistas; a design that would draw the original 1880’s building and contemporary pavilion addition into a harmonious whole. 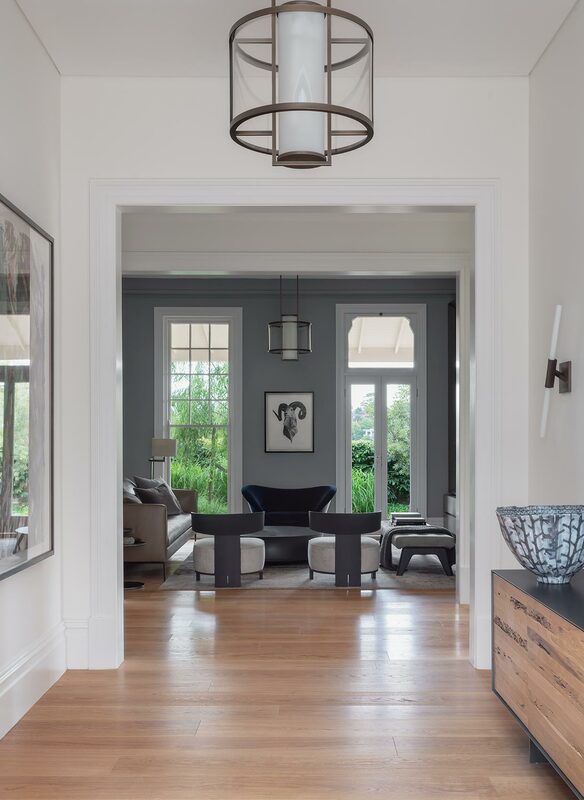 The carefully curated interior responds to the strong architectural envelope, the transitions are so well considered that they are almost seamless. 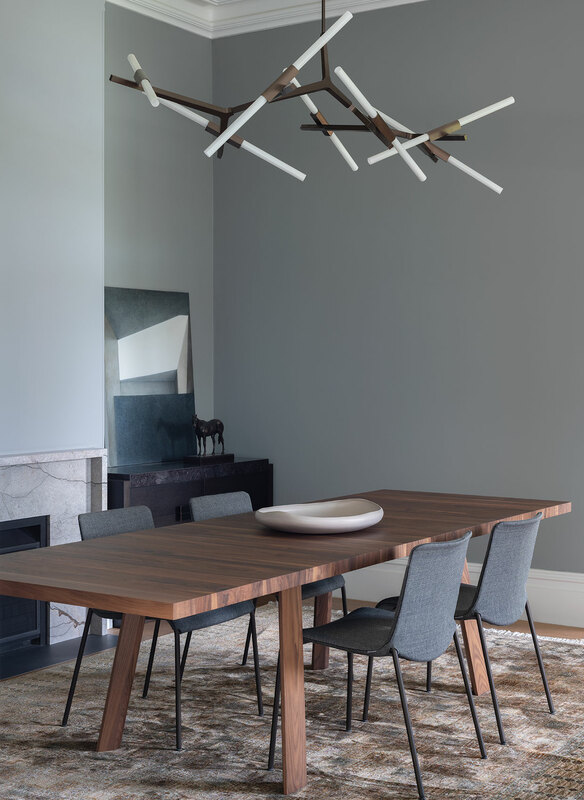 Woolwich House is a delightful series of spaces that interlink, each with their own purpose reflecting the collections of the client. 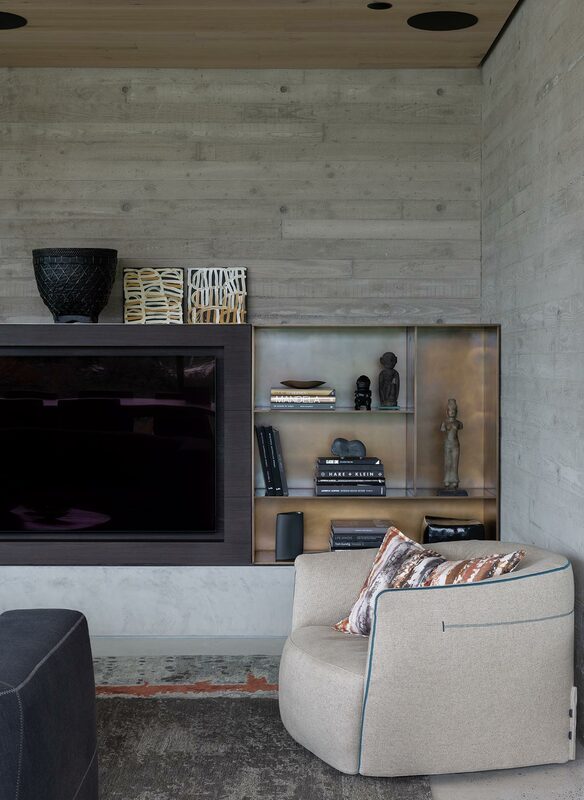 Framed interior vistas form connections between adjacent spaces, keeping the floor plan fluid, intriguing and intimate. 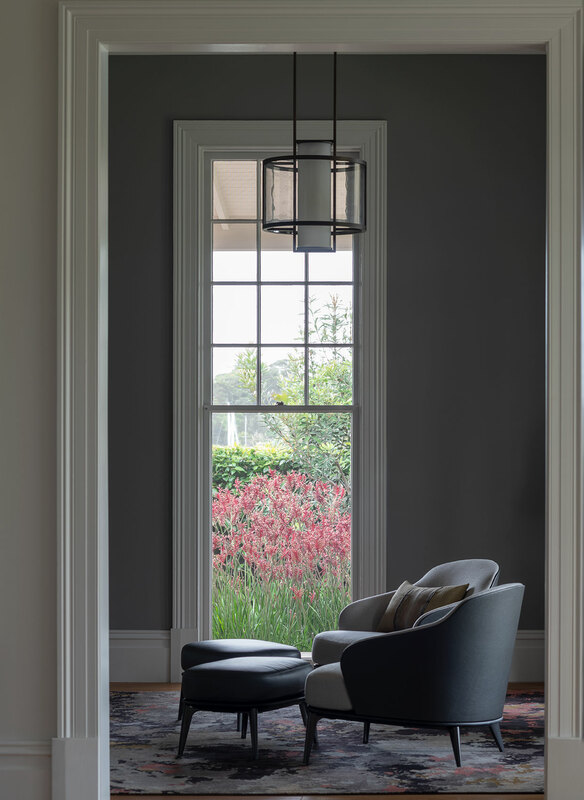 The seamless interplay of texture, colour, form and materiality are woven through the interior creating delight and surprise in unexpected combinations. 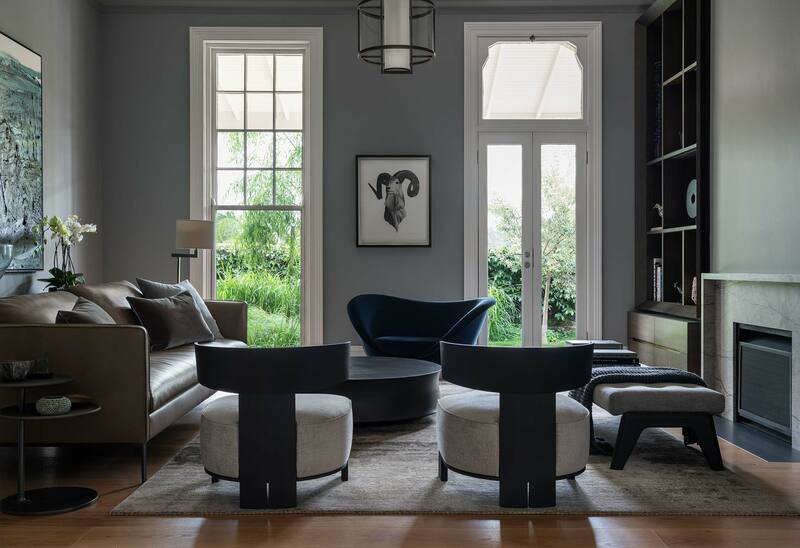 Furnishing selections respond to the scale and purpose of the rooms with classic furniture and rich, textured fabrics in sync with the client’s brief of a sophisticated and timeless interior.